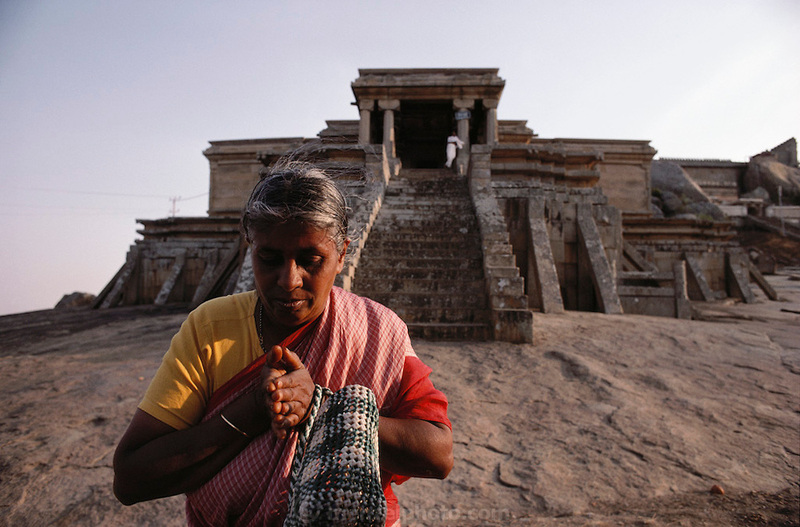 A woman in front of the sacred Jain site of Sravanbelgola, 93km north of Mysore, consists of two hills and a large Tank. On one of the hills, Indragiri (also known as Vindhyagiri), stands an extraordinary eighteen meter high monolithic statue of a naked male figure, Gomateshvara, which is the largest freestanding sculpture in India. The name of the other hill is Chandragiri, marking the arrival of Jainism in southern India..